Do your students have math test anxiety? Do your students feel upset or uneasy about math test days? There are 5 simple things you can do to put them at ease for math test days. What is Math Test Anxiety? Math Test Anxiety is having an unease and nervousness about a math test that will in turn lower your score. It creates a mental block and leads to inadequate test preparation. The concern and worry over the original problem leads to more apprehension and negative self talk. How can I calm my nerves before a math test? There are many things that students can do before a test to calm their nerves and eliminate math test anxiety. Trying one or two of these strategies can lower math test anxiety of students. When students are able to not worry or be nervous about the math test, they will perform better. Students need to think positive thoughts about themselves. 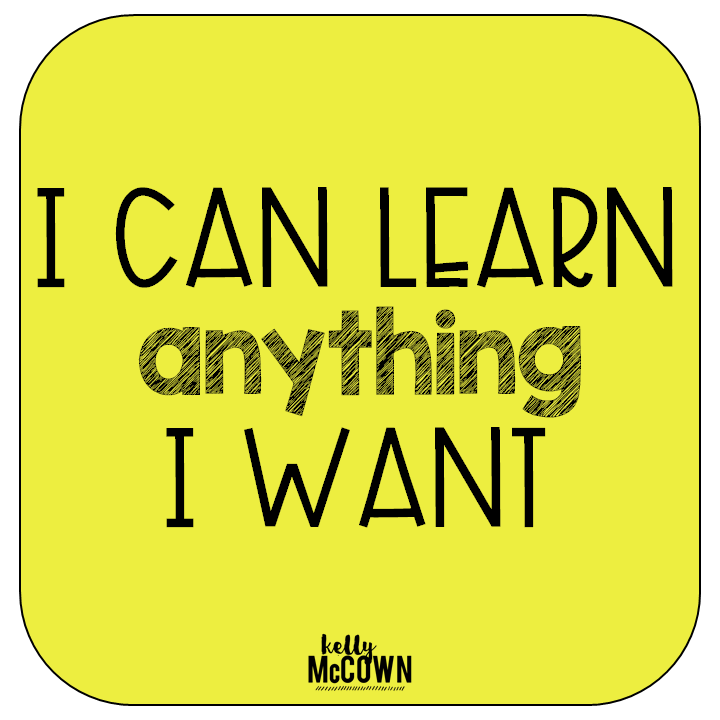 Work on a math growth mindset activity or focus on an encouraging quote. Math confidence for students is key to creating a mindset for testing. Reading about Math Test Anxiety is helpful for students to see how others struggle with it as well. The Big Test is a book about how Mrs. Hartwell prepares her class to take the Big Test. She teaches them all the test taking skills and then realizes she forgot to teach the most important one! It's a great read for students during test taking season. (Affiliate link included to book). The simplest tip to not having Math Test Anxiety is to prepare. 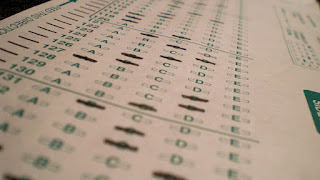 Students want to know what is on the test and how to take the test to earn the highest possible grade. Instruction and preparation for math tests is key. With proper preparation students will feel better, have less concern, and not be nervous about the math test. Writing a letter to the parents and students about the test can be helpful. Tell them what concepts are on the test, what pages to review, and any other important math facts to memorize. Knowing what to expect will help parents reassure their children and prepare them for the math test at home. Remind students to get a good night's sleep and eat breakfast. Having personal needs met helps students to be less concerned and better prepared. Writing a note to the students gives them extra confidence. Students may not know how you feel about their ability to take a math test. Writing a quick note to each student to identify their strengths and how they will do well on the math test will help their math test anxiety. 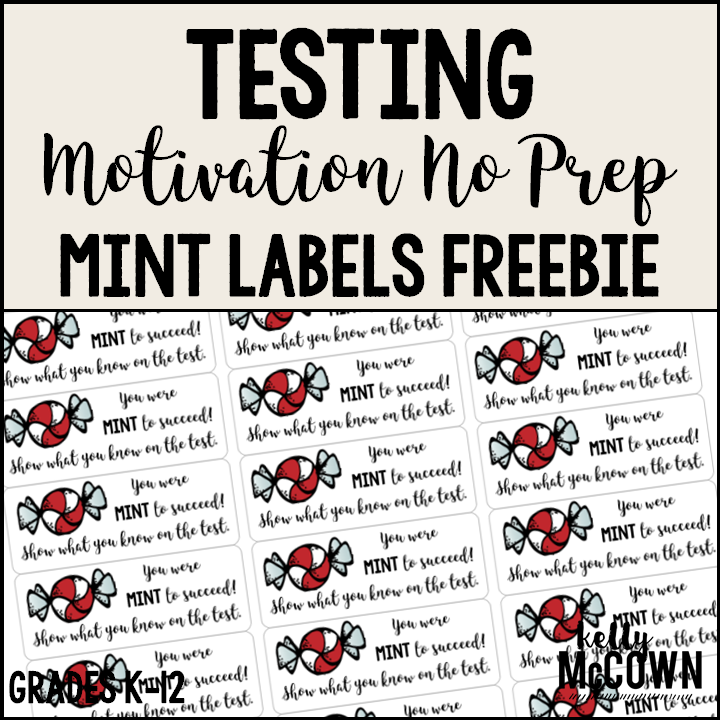 Use these FREE Testing Motivation Mint Labels for students. 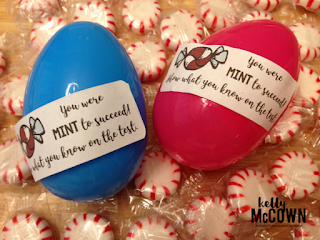 Give students a peppermint and note to tell them you believe they will do their best on the math test! You can print the notes on regular paper or on Avery address labels to quickly stick in place. These labels can be used on eggs, plastic bags, and more! 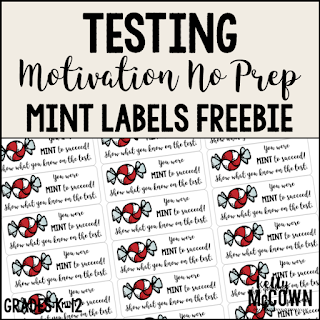 => CLICK HERE to download the Mint Labels for FREE! 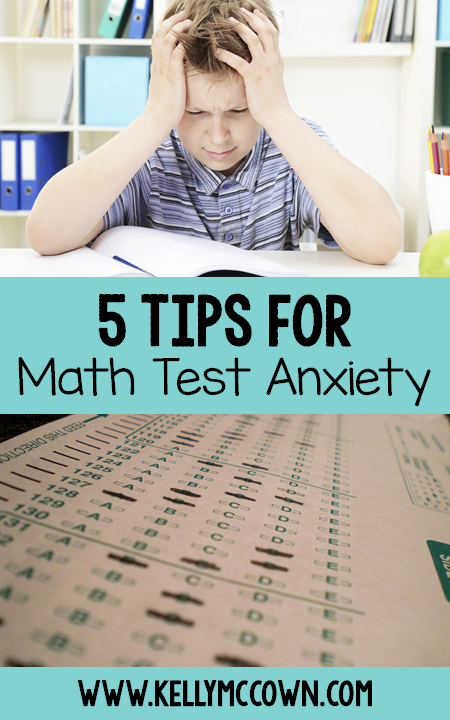 Try one or two of these tips with your students to relieve the math test anxiety. Students will feel better and earn higher scores when they are prepared for the math test. I hope you have a great testing season with your students.